FABULOUS WALK-OUT RANCH ON A PRIVATE COUNTRY SIZED LOT IN A SUBDIVISION! BEAUTIFUL MATURE TREES. FIRE PIT. GREAT UPDATED OPEN FLOOR PLAN. LARGE OPEN EATING AREA. BEAUTIFUL FAMILY ROOM WITH A WOOD BURNING FIREPLACE, DECK ACCESS, AND GREAT VIEWS! UPDATED KITCHEN WITH STAINLESS STEEL APPLIANCES, EATING BAR, NEW FAUCET, AND TILED FLOORS. 3 BEDROOMS ABOVE GRADE WITH A HALF BATH OFF OF THE MASTER. THE PARTIALLY FINISHED LOWER LEVEL HAS A WALK-OUT TO THE PATIO, SPACE FOR A 4TH BEDROOM, AND A FULL BATH. 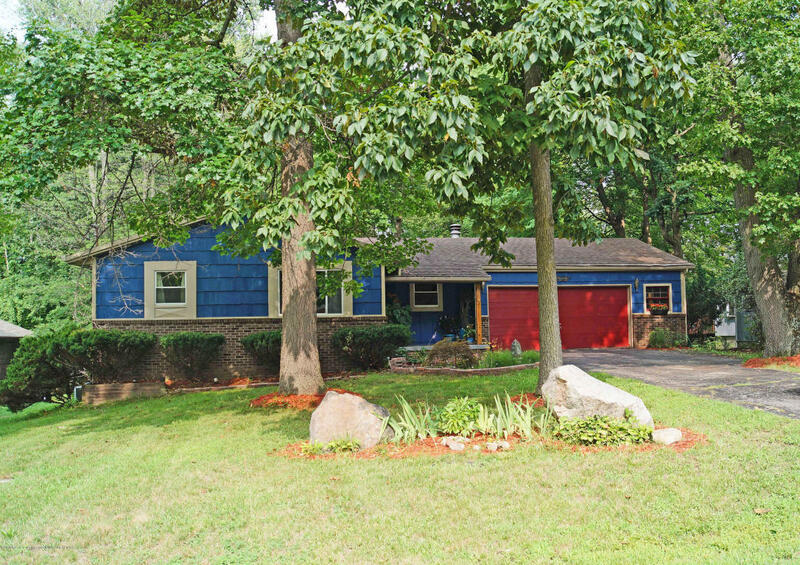 ALL NESTLED-ON A 1.15 ACRE PARCEL. EXCELLENT CONDITION! ROOF SHINGLES 2012. ENJOY LAKE LANSING PARK AND .734 ACRES OF NATURE TRAILS OFF OF THE SUBDIVISION!